Spotify is about to go public. Will investors sing along? Spotify's public offering could be music to investors ears. It's a household name that revolutionized the music industry, outmaneuvered larger rivals and still has a fast-growing revenue stream. But an unusual IPO process has analysts effectively throwing up their hands about what to expect when the streaming music service goes public Tuesday. They don't even know what to call it. "Officially we are not even calling it an IPO," says Matt Kennedy, an analyst at Renaissance Capital, which manages IPO-focused exchange-traded funds. Unlike traditional IPOs, Spotify will not raise new capital. Instead it will simply list existing shares directly on the New York Stock Exchange without relying on underwriters to help assess demand and set a price. Analysts have pinned the price target for the stock at anywhere from $160 to $220 per share. Spotify has said the price and volume of trading "may be more volatile" because of the direct listing approach. 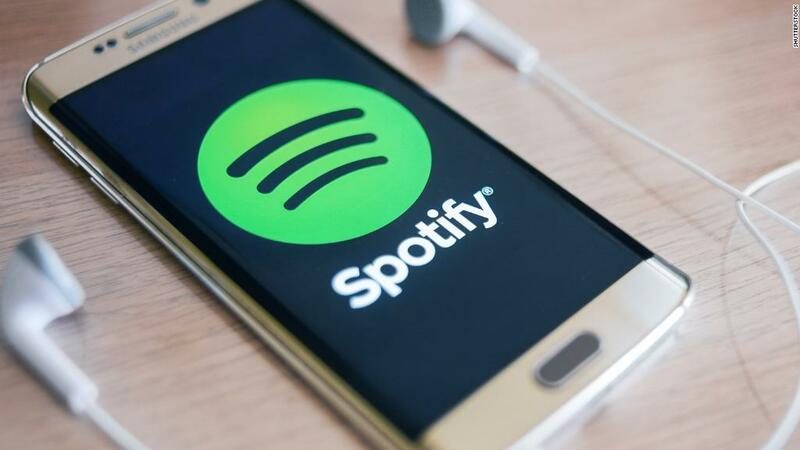 Daniel Ek, Spotify's CEO and cofounder, told investors last month that part of the goal is to ensure employees and longtime shareholders can sell stock on day one if they choose. If it were a typical IPO, they'd have to wait until the share lockup period ends to sell their stock. "We have allowed shareholders and employees to buy and sell stock for years," Ek said. "That shouldn't stop just because our stock is more widely owned." But what's good for existing Spotify shareholders could be bad for those who invest once the company goes public. A huge number of shares hitting the market all at once could sink the stock price. "If insiders decide to dump their shares, early investors could see massive losses," Kennedy says. The uncertainties of the direct listing aren't the only challenge for Spotify. The decade-old company continues to face stiff competition from the likes of Apple (AAPL), Amazon (AMZN) and Google (GOOGL). It also bleeds money from the cost of licensing content. Spotify expects its financials will improve, however. In a regulatory filing last month, Spotify said it predicts sales for 2018 will grow as much as 30% to about $6.5 billion. It projects operating losses will decline from about $460 million last year to just north of $400 million this year -- with the cost of the public listing accounting for as much as $50 million of that. Meanwhile, Spotify's streaming service has the largest audience. It had 71 million paying customers at the end of 2017, roughly twice the number of its nearest rival, Apple Music. Spotify expects its audience to grow to as much as 96 million by the end of this year. "It's significantly stronger than Snap (SNAP) and significantly stronger than Blue Apron (APRN)," says James Gellert, CEO of RapidRatings, which rates the financial health of public and private companies. Snap and Blue Apron had strong IPOs and then struggled mightily since their stock market debuts. Spotify is going public at a time when there is pent-up demand for new tech IPOs. "Even with all the buzz that it's going to be a great tech IPO year, they're still few and far between," Gellert says.